Comprised of seventeen short stories, this novel is a fast read because I found myself unable to put the book down! Each work in “Gershwin’s Last Waltz and Other Stories” is completely different from the other. Because of this, the author Frank Frost kept me on my toes, and I was always in for a surprise when I hit the point in a story where there was a twist or a turn. Most the tales begin as if they are going to be mundane and then Frost manages to tweak the plot so it turns into an entire adventure instead of a quick trip! I have several favorites. The first one, “The Bunny Farm,” is a story about a bunch of privileged private school children who are accidentally dropped off at the wrong place on a field trip. Instead of the anticipated petting zoo, they end up at a bunny farm, which enables them to receive a truly real education! In case you are wondering, this had nothing to do with a ranch in Nevada. Another favorite was “That Old Big Sur.” This is the story about a man who pretends to be someone he is not. I had a hard time deciding if this could actually be a true story or just a vision of some women’s fantasies! No matter what, I was thoroughly entertained. I also loved that it was set in one of my favorite places. Which brings me to another tale that I really got a kick out of, “Quartzite,” and it takes place in one of my not so favorite places of Quartzite, which is in the hot Arizona desert. But, once again, the author sets the reader up for a funny story that heads in a direction that is very unexpected. This one is more likely to fulfill the fantasies of an old man! 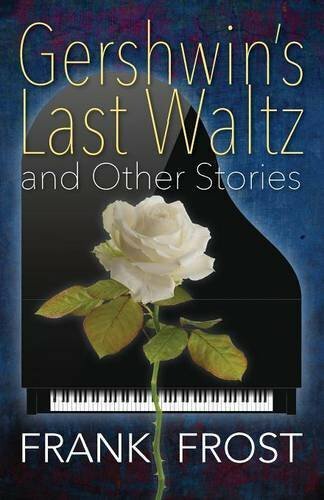 "Gershwin’s Last Waltz and Other Stories" by Frank Frost is a book that I wish had no ending. Unfortunately, my inability to put it down caused me to finish it too quickly. So, I guess I will have to check out other works by this author. I highly recommend this novel to readers who like quirky fun stories. It would be perfect for traveling because the short stories make it easy for the reader to stop in a story, without losing their place. I would also love to see it reviewed as a selection by a reader’s group. Lively conversation is guaranteed when discussing this book!